Journalist Jeannette Walls's memoir of growing up nomadic and starry-eyed in the ’60s and ’70s with her parents and siblings. 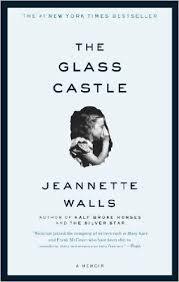 How fitting, then, that the title of Jeannette Walls's chilling memoir, The Glass Castle, should evoke the architecture of fantasy and magic ... Reared by a mother who believed that kids should be left alone to reap the educational and immunological benefits of suffering, Jeannette Walls, her brother and two sisters rapidly discovered that their peripatetic, hardscrabble life... 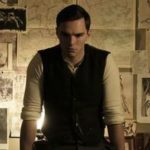 The memoir offers a catalog of nightmares that the Walls children were encouraged to see as comic or thrilling episodes in the family romance ... Walls has a telling memory for detail and an appealing, unadorned style ... The Glass Castle falls short of being art, but it's a very good memoir. From her first memory, of catching fire while boiling hotdogs by herself in the trailer park her family was passing through, to her last glimpse of her mother, picking through a New York City Dumpster, Walls’s detached, direct, and unflinching account of her rags-to-riches life proves a troubling ride ... Rex is a dreamer, and someday his gold-digging tool (the Prospector), or, better, his ingenious ideas for energy-efficiency, will fund the building of his desert dream house, the Glass Castle. But moving from Las Vegas to San Francisco to Nevada and back to rock-bottom Welch provides a precarious existence for the kids... The deprivations do sharpen the wits of the children—leading to the family’s collective escape to New York City, where they all make good, even the parents, who are content to live homeless ... Walls’s journalistic bare-bones style makes for a chilling, wrenching, incredible testimony of childhood neglect. Freelance writer Walls doesn't pull her punches ... Walls's parents — just two of the unforgettable characters in this excellent, unusual book — were a matched pair of eccentrics, and raising four children didn't conventionalize either of them. Her father was a self-taught man, a would-be inventor who could stay longer at a poker table than at most jobs... With a fantastic storytelling knack, Walls describes her artist mom's great gift for rationalizing ... The Walls children learned to support themselves, eating out of trashcans at school or painting their skin so the holes in their pants didn't show.